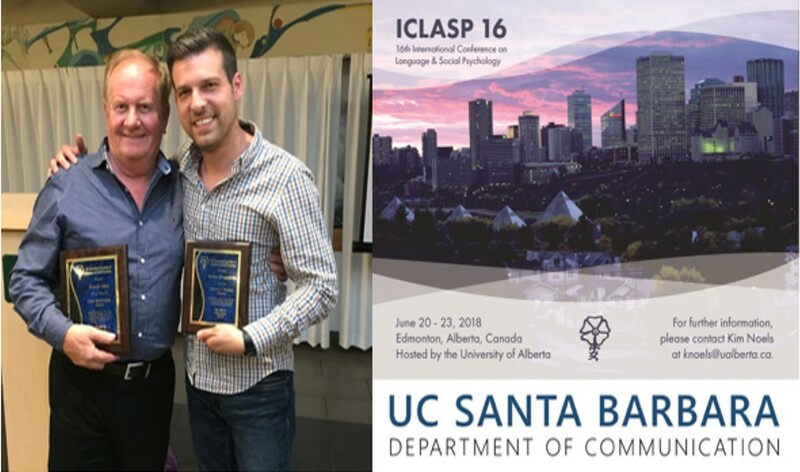 Congratulations to Dr. Howie Giles and Grad Alumnus Marko Dragojevic for their Recent Awards at the ICLASP Conference! Grad Alumnus Marko Dragojevic (Assistant Professor, U. of Kentucky, Lexington) was the recipient of the 2018 James Bradac Award for Early Career Excellence in Research from the International Association of Language & Social Psychology at the 16th. International Conference on Language & Social Psychology in Edmonton, Canada, June 2018. This award was also received by another one of our grad alumni, Jessica Gasiorek (Assistant Professor, University of Hawaii at Manoa). She was awarded this same honor in 2014.